equality and a fair go for all”. The 2010 Budget as presented by the Minister of Finance on May 20 brought some sense of relief after the doom and gloom of last year’s Budget. Many will focus initially on the across-the-board cuts in personal taxes and what this will mean for their personal financial situations. Of course, there is much more to the budget than this. In this Special Edition of Policy Watch we make preliminary comments on the parts of the budget of most interest to us and our members. These issues include changes to taxes and the implications for people on low incomes, the future use of Pathway to Partnership Funding, changes to how social services will be delivered and funded, and funding changes in votes Health, Education, Social Development and Housing. At NZCCSS we have approached each budget announcement from the perspective of how does this decision assist in narrowing the divide between the rich and poor. In our press release on the Budget we conclude that the budget has missed an opportunity to decrease inequality. The major changes in taxation, particularly the increase in GST, will still fall heaviest on those least able to bear it. As of 1 October 2010 GST will rise to 15% and personal taxes will fall. Although heavily geared to the wealthy, the tax cuts have returned a little more for middle income earners than predicted prior to the budget. However by their very nature tax cuts favour those who pay the most taxes so the divide between the well paid and low paid is actually exacerbated by the changes in personal tax rates. 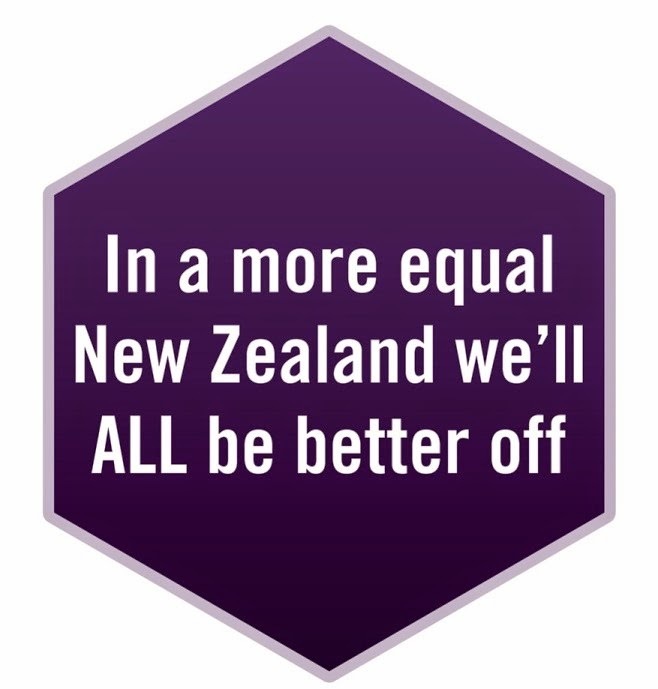 Opposition Leader Phil Goff has pointed out that he expect middle and low income earners to be worse off because the value of the tax cuts is likely to be less than an anticipated 6% increase in inflation. The factors contributing to the increase in the cost of living in the next 12 months include the increase in GST, price increases resulting from the introduction of the Emissions Trading Scheme (effective from 1 July), increasing ACC costs, increasing tobacco taxes and interest rate increases that are already affecting mortgage rates at all main banks. Whilst middle income people have been provided with a buffer through the tax cuts, low income people will be buffeted. People on low incomes (i.e. those receiving main benefits, superannuation, student allowances and Working for Families) will receive a 2.02% adjustment to compensate for GST it is a worry that projected cost of living increase could far outstrip this adjustment and leave them worse off. There is also some concern that landlords may pass on lost earnings from property tax changes via increased rents. This will need to be monitored. It is pleasing to learn that the Minister was able to secure over 90% of the $348 m of unallocated Pathways to Partnership funding. This money will be used in a variety of ways. $120m for Whanau Ora, $21.5m for teen parent support and social workers in hospital, $86.5m ring fenced family and community fund and $90.5m for new Community Response Model Forums. $29.3m was ‘returned to the crown for other government priorities’. The Community Response Fund established in May 2009 will remain. The fund has $64m for its second year. The new $90.5m fund has been described as ‘social sector transformation’. Such change is necessary according to the Minister “because the government has grappled with social issues without transformational success”. What does this transformation entail? The government is seeking to create Community Response Model Forums which will be made up of government and community reps who will ‘assess how existing funding from Family and Community Services is allocated in a region and make recommendations to the Minister’. There will be two funding levels – Level 1 Quality Services Fund (with a focus on collaboration, joined by services, efficiency, capacity building) and an Innovation Fund for those who have already reached a high standard of delivery who will be funded for increased volumes – and presumably innovative new services given title. No doubt the greater volumes promise would only apply to services that fit government priorities. A CPI adjustment of roughly 2% has been signalled by the Minister for this year. There is no commitment to this for future years. The results for education are a mixed bag. The big losers are early childhood education providers who will lose the top level of funding. Current funding policies provide financial incentives to centres who employment 80%-100% qualified staff. This incentive will be removed from February 2010 and it is feared that the resulting $400m in saving for the over four years will lead to deskilling in centres and/or extra costs for parents. Kindergartens in particular will be hit hard as they only employed registered teachers. However overall there will be an increase of $107m in ECE compared with the previous budget. This money is to be targeted to areas with poor participation rates. While we may have reservations about ‘reprioritisation’ it is encouraging to see an emphasis being placed on areas with substandard access. On a more positive note new money is going into schools, increased places in the Youth Guarantee Scheme, more investment in superfast broadband and the like. Overall a total of $1.9b is being committed to new education initiatives. The government has announced that they will be extending the Housing Innovation Fund (worth a modest $20m) for another year. They will also be contributing, no doubt with the upmost reluctance, 25% of repair costs for people with leaky homes as part of a Leaky Homes Package. There was a complete silence on the new Gateway programme - remember under this scheme the government would make available ready-to-build Crown-owned sections to first home buyers. Phil Heatley explained in a press release last year how the scheme would work: “People build on the land and they own the building, we own the land. After ten years they have the option of buying the land”. This scheme was meant to make housing more affordable. The dearth of investment in housing in the 2010 Budget is apparent when you consider that they are re-announcing last year’s initiatives such as the extension of the limits for the Welcome Home Loans Scheme. The tenant home ownership scheme has only resulted in 17 sales – pathetic by anyone’s standard. The government is continuing its support for the Warm Up NZ home insulation scheme announced in last year’s Budget, the uptake of which reflects the high level of interest Kiwi’s take in trying to rectify the expensive problem of poorly insulated houses. “The Government has announced an additional $2.1 billion investment in health priorities over the next four years - including an extra $512 million in 2010/11.This includes $1.77 billion of new operating funding, $186 million from reprioritised operating spending, and $142 million for capital investment over four years. District Health Boards will directly receive $1.4 billion extra over four years, and will also receive a large share of the extra funding going to targeted initiatives such as elective surgery and medicines.” Sound impressive but health related budget announcements always do as its one of the hungriest areas for government expenditure accounting for an estimated $14b pa, second only to social security and welfare (with a combined budget of 21.2b pa). An extra $93m for disability services over four years was announced however $72m was ‘reprioritised from DHBs’. It’s unclear what services are lost whenever the word ‘reprioritised’ is used. Health expenditure has increased by $512 million in the coming year (more than $200 million less than the increase from last year) but according to the Minister enough to cover the Ministry of Health estimate of $507 million to cover the effects of inflation and population growth. It seems that the “new investment” in elective surgery is coming from the same money so this means there will be reduced funding elsewhere. Note that over the next four years $2.1 billion is allocated which once inflation is taken into account means an effective decrease in health spending. No specific announcements have been made around older people’s services although the Minister of Health states in his press release that “DHBs will be spending more on home support for the elderly next year” (whatever that might mean!). Disability support services (for people under 65 years) have received additional funding including increases in home support, equipment and supported living services that has been welcomed by the disability sector. Look out for a more in-depth analysis of Budget 2010 in the next issue of the NZCCSS newsletter Kete Kupu due out in mid June.